Julia Fierro is the author of the novels The Gypsy Moth Summer (2017) and Cutting Teeth (2014). Her work has been published in many publications, including The New York Times, Poets & Writers, BuzzFeed News, Glamour, The Millions, and Flavorwire. 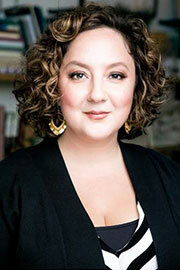 She has also been profiled in Brooklyn Magazine, The L Magazine, The Observer and The Economist. A graduate of the Iowa Writer’s Workshop, Fierro founded the acclaimed Sackett Street Writers’ Workshop (SSWW) in 2002, which has grown into a creative home to 4,000 writers in New York City, Los Angeles, and online.